A range of grants—from both government agencies and the college—are available to LaGrange students. Grants generally are awarded on the basis of financial need rather than merit and do not require repayment. Additional application materials may be required. HOPE Scholarship is a non-need-based State of Georgia scholarship awarded to Georgia residents who graduated from high school on or after June 1996 with a 3.00 grade point average in specific academic courses. A student who did not graduate from high school as a HOPE Scholar may become eligible for the HOPE Scholarship after attempting 30, 60, or 90 semester hours. The award is a $4,178 per year for full-time students ($2,089 per semester). The complete eligibility requirements and application for the HOPE Scholarship are available at www.gafutures.org. Zell Miller Scholarship is a non-need-based State of Georgia scholarship awarded to Georgia residents who graduated from high school in 2011 and beyond who graduated as the Valedictorian or Salutatorian or had a HOPE Scholarship calculated high school GPA of a minimum of 3.7 and scored a minimum score of 1200 combined critical reading and math on a single administration of the SAT or a composite score of 26 on a single test administration of the ACT taken prior to the time of high school graduation. Zell Miller Scholarship are evaluated at the same benchmarks are HOPE Scholars, 30, 60, and 90 attempted semester hours. The award is $4,616 per year for full-time students ($2,308 per semester). The complete eligibility requirements and application for the Zell Miller Scholarship are available at www.gafutures.org. Georgia Tuition Equalization Grant is a non-need-based State of Georgia grant awarded to Georgia residents attending a private college or university as a full-time student. The annual amount is currently $950. The complete eligibility requirements and application for the Georgia Tuition Equalization Grant are available at www.gafutures.org. Georgia HERO (Helping Educate Reservists and their Off-spring) Scholarship is a non-need-based, State of Georgia scholarship that provides educational grant assistance to Georgia residents who are members of the Georgia National Guard and U.S. Military Reservists and served in combat zones or the children or spouses of such members of the Georgia National Guard and U.S. Military Reserves. The award is $2,000 per year for full-time students. Awards are prorated for enrollments of less than full-time. The complete eligibility requirements and application for the Georgia HERO Scholarship is available at www.gafutures.org. Public Safety Memorial Grant is a non-need-based, State of Georgia grant awarded to the dependent children of Georgia Public Safety Officers who were permanently disabled or killed in the line of duty. The maximum award is $18,000 per year. The complete eligibility requirements and application for the Public Safety Memorial Grant is available at www.gafutures.org. The U.S. Government provides need-based grants, loans and student employment progams to eligible U.S. citizens or eligible non-citizens to help defray the cost of attending college. These programs require that the applicant complete a Free Application for Federal Student Aid (FAFSA) to determine eligibility for each program. Federal Pell Grant is a need-based, federal grant awarded to undergraduate students pursuing their first bachelor's degree. The student's Expected Family Contribution, Cost of Attendance and enrollment status determines the Pell award. Students enrolled less than full-time may qualify for a reduced amount Pell Grant. The lifetime Pell Grant limit is six years or the attainment of a bachelor's degree. Iraq and Afghanistan Service Grant is a federal grant awarded to undergraduate students who are not Pell-eligible whose parent or guardian died as a result of military service in Iraq or Afghanistan after 9/11. The student must have been under the age of 24 or enrolled at least part-time at the time of the parent’s or guardian’s death. Federal Supplemental Educational Opportunity Grant is a need-based, federal grant awarded to undergraduate students with exceptional financial need. Priority is given to Pell Grant eligible students with the lowest EFC. Available funding in this program is limited so completing the FAFSA early is recommended. Teacher Education Assistance for College and Higher Education (TEACH Grant) is a federal, non-need-based grant available to undergraduate and graduate students who are pursuing careers in teaching. TEACH Grant recipients must sign an Agreement to Serve contract agreeing to teach four complete academic years within eight years of completing their degree as a highly qualified teacher in a high-need field for a school system serving low-income families. Recipients may receive $4,000 annually for a total of $16,000 for undergraduate study and $8,000 for graduate study. TEACH Grant recipients who fail to complete their service obligation will have all the funds received converted to an Unsubsidized Federal Direct Loan. For information on TEACH Grant, click here. The Financial Aid Office awards generous grant assistance from the programs described below to eligible students. (A separate application is not needed.) 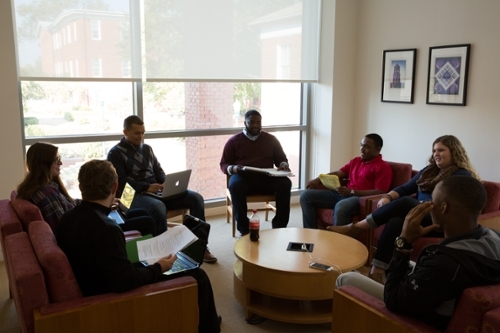 Few students at LaGrange College pay the full cost of attendance. The college and generous foundations, alumni and friends provide need-based and non-need-based grant assistance to eligible students. 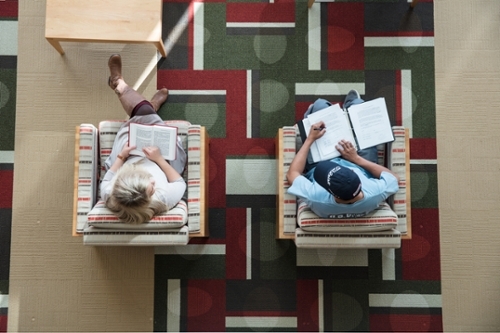 A student's financial need (for need-based grants and scholarships) is determined by the results of the Free Application for Federal Student Aid (FAFSA) and LaGrange College's cost of attendance. Laurell Allen '84 Endowed Scholarship Grant, a need-based grant, was established by Laurell Allen, Class of 1984. This scholarship is awarded to a LaGrange College student in good standing that demonstrates financial need. Clark and Ruby Baker Scholarship, a need-based grant, is awarded to Georgia residents with financial need, with preference given to students from rural or small towns. William Henry Belk Scholarship, a need-based grant, was established through the efforts of Mr. James G. Gallant and is awarded to Presbyterian students or graduates of Rabun-Gap Nacoochee School with financial need. Annie '33, Martha '37, and Sarah Kathryn '34 Bond Endowed Scholarship Grant Fund, a need-based grant, was established by Sarah Kathryn Bond in loving memory of the life and legacy of her sisters and in tribute to the legacy and influence of LaGrange College on her life. This scholarship is to provide financial assistance to students who demonstrate financial need. Rosa Wright Boyd Scholarship, a need-based grant, was established by Mr. John W. Boyd Sr. in memory of his mother, Mrs. Rosa Wright Boyd, an 1898 alumna. These scholarship funds are awarded to deserving students with financial need. Jack P. Buchanan, Sr., Scholarship was established by friends of Mr. Buchanan in honor of his many years of service with the Department of Children and Youth Services. The scholarship is awarded to rising seniors who have demonstrated achievement, scholarship and involvement in working with troubled youths. Buchheidt Scholarship, a need-based grant, provides assistance to students with financial need and with preference given to students with exceptional financial need. Samuel J. Boykin Scholarship, a need-based grant, was established by the estate of Mrs. Miriam S. Boykin to honor her late husband Samuel J. Boykin, to provide assistance to students with financial need pursuing degrees in art or nursing. Jessie S. and H. Grady Bradley Memorial Annual Scholarship, a need-based grant, was established by Dr. Carolyn Bradley '57, to provide grant assistance to LaGrange College students whose intention is to major in the Natural Sciences. Eugène A. Carrière Annual Scholarship Grant, a need-based grant, established by Dr. Nick Vlachos, to provide financial assistance to a LaGrange College student who demonstrate a passion for the life and work of Eugène Carrière. Austin P. Cook, Jr. – Eleanor Bryan Cook '42 Annual Scholarship Grant Fund, a need-based grant, was established by Austin P. Cook, III, Class of 1969, to honor and recognize his parents, Austin P. Cook, Jr., and Eleanor Bryan Cook, Class of 1942. This scholarship provides assistance to an incoming student with financial need. William and Estelle Jones Culpepper Scholarship, a need-based grant, was established by Mrs. Calla Mae Cochran Culpepper to provide scholarship assistance to a senior with financial need and academic excellence. Mary Hilda Dailey '45 Children of Ministers Endowed Scholarship Grant Fund, a need-based grant, was established by Mary Hilda Dailey, Class of 1945, in gratitude for the financial help she received while attending LaGrange College. This scholarship will provide a need-based scholarship for students in good standing who are the dependents of ministers in the United Methodist Church or students who are majoring in Religion. Thomas H. Estes Memorial Endowed Scholarship, a need-based grant, was established by Mrs. Lettie E. Cunningham in memory of her brother to assist deserving students who need assistance to attend LaGrange College. Laura Fackler Scholarship, a need-based grant, was established by Dr. and Mrs. William B. Fackler Jr. in memory of their daughter. This scholarship is awarded to senior members of Kappa Delta Sorority in recognition of character, financial need and service to the sorority. Elizabeth Steed Finley '30 Memorial Scholarship Fund, a need-based grant, was established by Carter V. Findley in loving memory of his mother, Elizabeth Steed Findley, Class of 1930. This scholarship is to provide financial assistance to students who demonstrate financial need, with preference given to female students. Kate Ingram Gordy Scholarship, a need-based grant, was established by Mr. Herbert I. Gordy in memory of his sister. This scholarship provides need-based assistance to students in good standing at LaGrange College. Linda Green Scholarship was established in memory of the late Linda Green. This scholarship is awarded to a Troup High School student with preference given to a Nursing student who will attend LaGrange College. The recipient is selected by Troup High School. Mary Quillian Harrell Scholarship was established in memory of Mary Elizabeth Quillian Harrell by Dr. Luther Alonzo Harrell, her husband, and her surviving children. Mrs. Harrell was a graduate of the Class of 1899. This scholarship is awarded to dependents of United Methodist ministers with financial need. Preference in awarding this scholarship is given to members of the South Georgia Conference with secondary consideration given to members of the North Georgia Conference, if there are no eligible recipients from the South Georgia Conference. Elizabeth Carlock Harris Scholarship, a need-based grant, was established by Mrs. Elizabeth Carlock Harris, Class of 1961, and her husband, Joe Frank Harris, former Governor of the State of Georgia. This scholarship is awarded based on financial need with preference given to dependent children of United Methodist clergy, science majors who intend to make teaching their profession and/or students who are residents of Cartersville, Georgia. Forrest C. Johnson Jr. Memorial Scholarship was established by his wife, Memory Sutherland Johnson, an alumna, and it is awarded to a Troup High School graduate who will attend LaGrange College. The recipient is selected by Troup High School. Virginia Speegle Kyle Scholarship, a need-based grant, was established by Mr. Joseph H. Kyle in honor of his wife. The scholarship provides assistance to deserving students with financial need who require financial assistance to attend LaGrange College. LaGrange College Grant, a need-based grant, is an institutional grant made possible by the generous gifts of alumni, foundations, corporations and friends of LaGrange College. Funds are awarded primarily based on financial need. Recipients of this grant must maintain good academic standing. LaGrange College Methodist Scholarship, a need-based grant, is awarded to active, full members of the United Methodist Church with financial need. Eligible students must have a GPA of 3.0 or higher and have been an active member of a United Methodist Church for at least one year. Recipients must complete and submit a United Methodist Scholarship application along with certification of church membership to the Office of Admission or Financial Aid by April 1 to be considered for the scholarship. A scholarship selection committee will review and select the recipients. LaGrange College Tuition Courtesy, a non-need-based grant, is an institutional tuition remission available to full-time LaGrange College employees and their dependent(s) or spouse for undergraduate study. 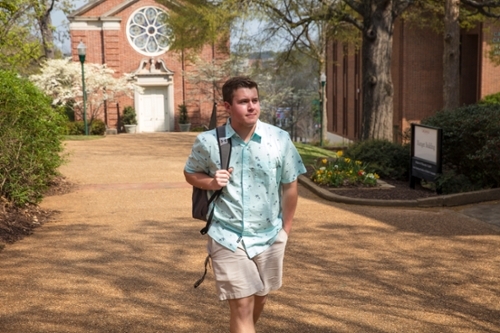 Individuals that qualify for the tuition remission will receive institutional assistance equivalent to actual assessed tuition less HOPE Scholarship, Zell Miller Scholarship, Georgia Tuition Equalization Grant and Federal Pell Grant, if applicable. Glen Long Scholarship, a non-need-based grant, was established by Mr. Glen Long and is awarded annually to the editor of the college newspaper. Daisy Shepherd Luckey Excellence in Music Scholarship was established by Ted McMullan in honor of Daisy Shepherd Luckey, Class of 1944, for her commitment to teaching piano for over 50 years. The scholarship will provide a need-based grant-in-aid to one or more LaGrange College students with preference given to a student majoring in music with a concentration in piano performance from Harlem, Georgia/Columbia County or surrounding areas, or from Georgia. Frankie Lyle Scholarship, a need-based grant, was endowed by Mrs. Frankie M. Arnold Lyle, Class of 1891. Special consideration is given to students from Jonesboro High School or Clayton County, Georgia. Lynn Morrison McEachern Memorial Scholarship, a need-based grant, was established by Mr. Marion K. McEachern '70 in loving memory of his daughter. This annual grant will support an incoming student whose intention is to major in Art History. Catherine Mitchell Lynn Scholarship Fund, a need-based grant, established by the estate of Catherine Mitchell Lynn to provide assistance to an incoming student or enrolled student in good academic standing who is a resident of LaGrange, Georgia, or Troup County. William Luther McMinn Jr. Scholarship, a need-based grant, established by Mr. And Mrs. William L. McMinn Sr. in memory of their son who died in an automobile accident on May 15, 1986, while a student at LaGrange College. This scholarship is awarded based on demonstrated academic promise and financial need. C. Lavern Mobley Scholarship, a need-based grant, was established in memory of Reverend C. Lavern Mobley, a Methodist minister of the North Georgia Conference of the United Methodist Church. LaGrange Rotary Club Walter Y. Murphy Scholarship, a non-need-based grant, was established by the LaGrange Rotary Club in recognition of Walter Y. Murphy, former president of LaGrange College, for his commitment to LaGrange College and the LaGrange community. The scholarship is awarded to a rising junior with demonstrated academic excellence with a 3.2 or better grade point average and commitment to volunteerism. Elizabeth Merritt Peavy '32 Annual Scholarship Grant, a need-based grant, was established by Elizabeth Peavy Murdock, Class of 1954, in loving memory of her mother. The scholarship will fund a need-based scholarship to an incoming student with preference given to a student whose intention is to major in English. The annual scholarship of $1,000 will be awarded by the Director of Financial Aid. Margaret Adger Pitts Scholarship, a non-need-based grant, was established in honor of Miss Margaret Pitts to provide scholarships for sons and daughters of ordained United Methodist ministers appointed by the Bishops of the North and South Georgia Conferences. The annual award is $4,000; however, the combination of the Pitts Scholarship and any other institutional funding may not exceed the established institutional cap. Also, the combination of institutional funding, HOPE Scholarship, Georgia Tuition Equalization Grant, and LaGrange College academic or fine arts scholarships, if applicable, may not exceed tuition. Randy Pollard ’60 Memorial Scholarship, a need-based grant, was established by the LaGrange College Alumni Association and Jody Lyn Pollard, Class of 1980, in memory of the Reverend Randy Pollard ’60 and in recognition of his service as president of the association. This scholarship provides assistance to students who demonstrate financial need and are in good standing at LaGrange College. Dr. Robert P. Price Memorial Annual Scholarship Grant, a need-based grant, was established by Elizabeth "Betty" Guinevere Freeman, Class of 1976, in loving memory of Dr. Price. The scholarship will fund a need-based scholarship to an incoming student with preference given to a student whose intention is to major in Psychology. Charles and Faye Reese Endowed Scholarship, a need-based grant, was established by Mrs. Kathy Reese McCollum'81, Dr. Kenneth Reese '82, Mrs. Karla Reese Powers '95, and Mrs. Kerri Reese Shoemaker '95 in honor of thier parents' 50th wedding anniversary. The purpose of this scholarship is to provide need-based grant assistance to a LaGrange College student whose parents do not have a college degree. Horace and Dorothy Richter Scholarship, a need-based grant, was established by the Lee Richter Family Fund in memory of his parents to provide need-based grant assistance to LaGrange College students. Lois Statham Simons '56 Endowed Science Scholarship, a need-based grant, was established by Frances Henry Rand, Class of 1956, and David G. Simons in loving memory of a beloved wife and dear friend. The scholarship will provide a need-based grant to a student(s) in good standing with preference given to students who intend to major in the sciences. Recipients of this scholarship will be selected by the Director of Financial Aid in consultation with the Science faculty. Isla Johnston Stack Nursing Scholarship, a need-based grant, is annual scholarship provided by the North Georgia United Methodist Foundation, Inc. This scholarship is awarded to a United Methodist female nursing student. This need-based annual scholarship will be awarded by the Director of Financial Aid. Charles Edwin Suber Endowed Scholarship Fund, a need-based grant, was established by a generous gift from the Charles Edwin Suber Foundation to enhance the educational experience for LaGrange College students. This scholarship provides assistance to students who demonstrate financial need. Recipients of this scholarship will be selected by the Director of Financial Aid. Traylor Scholarship, a need-based grant, was established in memory of C. Frank Traylor Sr. and C. Frank Traylor Jr. through gifts from family and friends and the support of the LaGrange Lions Club. These scholarships benefit graduates of the Troup County School System. Tuition Exchange Scholarship, a non-need-based grant, is an institutional tuition waiver awarded to the dependents of eligible employees at a Tuition Exchange member institution of higher education. Contact the Financial Aid Office for more information. Louise Turman Scholarship, a need-based grant, was established by the trustee of her estate to provide scholarship and grant assistance for the general scholarship fund. This scholarship provides need-based assistance to students in good standing at LaGrange College. The Financial Aid Office will select the recipient(s). United Methodist General Scholarship, a need-based grant, is made possible by an annual gift from the General Board of Higher Education & Ministry. Eligible applicants must be full and active members of the United Methodist Church for at least one year prior to applying, must be full-time degree-seeking students with a 'B' average or better during the year prior to the award and must demonstrate financial need. Scholarship applications are available in the Financial Aid Office. United Methodist Foundation Scholarship, a need-based grant, is made possible by an annual gift from the General Board of Higher Education & Ministry. Eligible applicants must be full and active members of the United Methodist Church for at least one year and must be full-time degree-seeking students and U.S. citizens or permanent resident aliens. Scholarship applications are available in the Financial Aid Office. One $1,000 scholarship is awarded annually to a student in each academic class. Lettie Pate Whitehead Scholarship Grant, a need-based grant, is made possible by an annual gift from the Lettie Pate Whitehead Foundation. Scholarship recipients must be female students enrolled full-time with financial need who reside in Georgia, Alabama, South Carolina, Tennessee, Florida, Mississippi or Louisiana. Felton Williams Scholarship, a need-based grant, is made possible by an annual gift from the North Georgia United Methodist Foundation, Inc., to fund scholarship assistance for female students with financial need. Frances Wood Wilson Grant, a need-based grant, is made possible by a generous annual gift from the Frances Wood Wilson Foundation. The grants are awarded to students demonstrating financial need. The Director of Financial Aid will select the recipients.